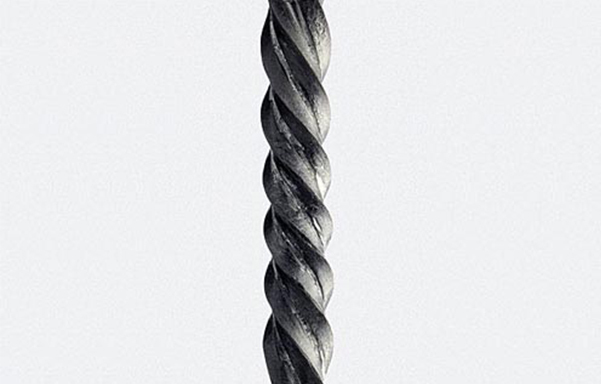 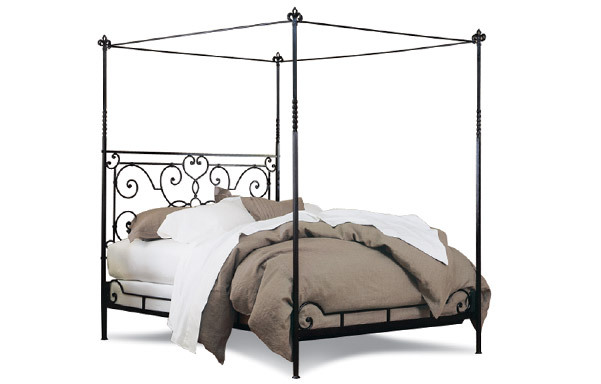 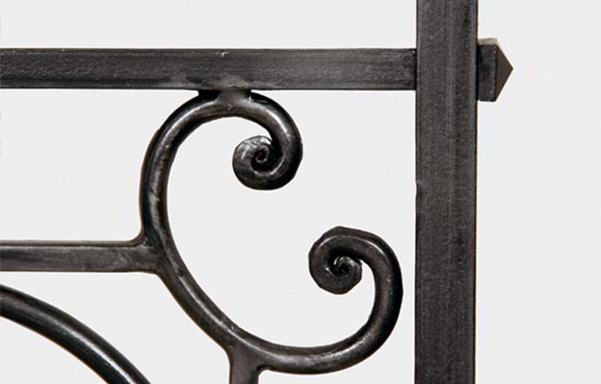 Originally forged by one of our master blacksmiths for his own personal use. 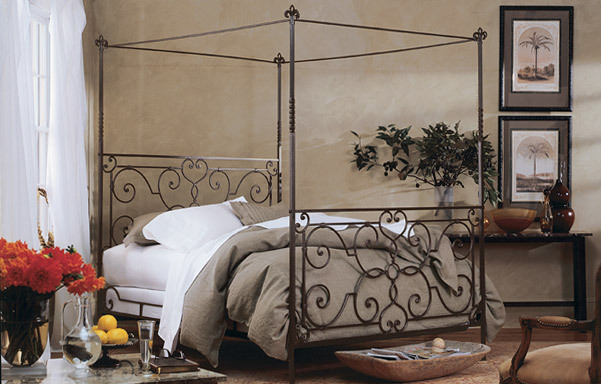 When we displayed the original it generated so many special orders that we added it to our made to order collection. 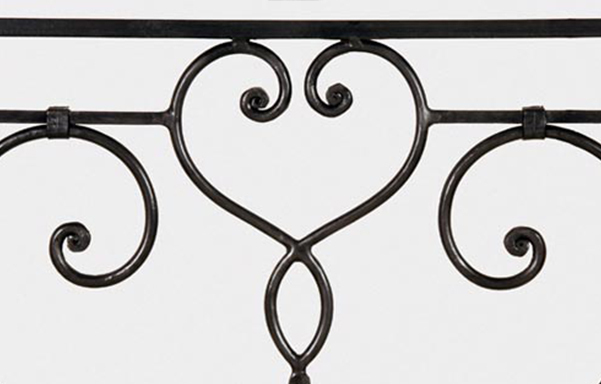 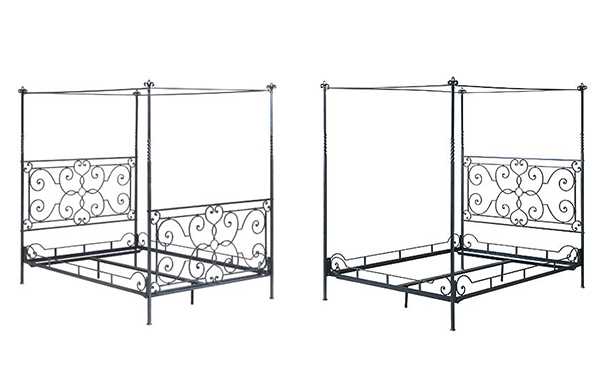 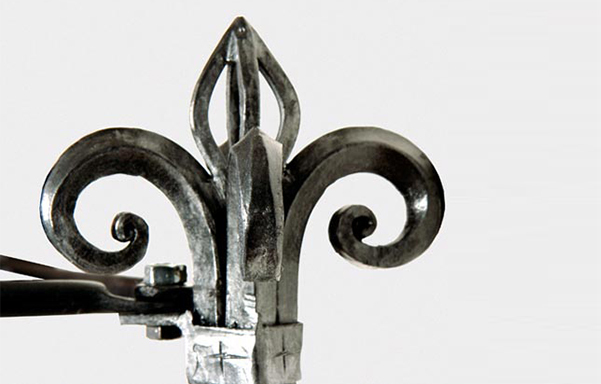 It is entirely hand forged of solid iron bar from the posts and scroll to the fleur-de-lis finials!